A northern Mantoloking beach saw medical waste wash ashore this week, officials said. Mantoloking Police Chief Stacy S. Ferris said about two dozen needles were found on the northern part of the borough’s oceanfront, near Lyman. 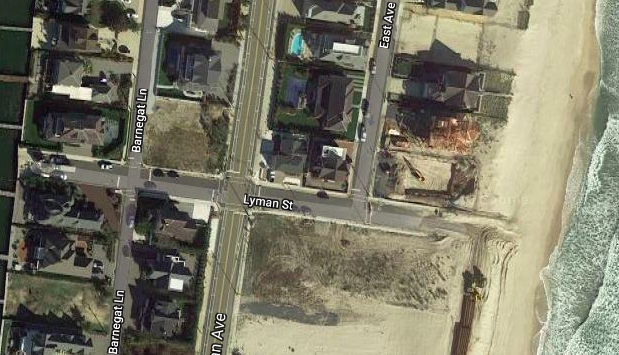 Ferris said the Lyman Avenue beach has already begun to transition to closing down ahead of the Army Corps of Engineers’ work, and that beach has no lifeguard. Ferris said a badge checker remains in place at the Lyman beach block but that the three lifeguard stands are now at Downer beachfront. “For the most part though we are seeing not many beachgoers in the northern part at this point in the year,” Ferris told the borough council at the Aug. 21 monthly meeting. Mantoloking guards its beaches through Labor Day, and its public guarded beaches are the Downer and Lyman locations. In addition to the medical waste news, borough officials provided an update on how the Army Corps of Engineers’ dune replenishment and beach widening project is going. The project is scheduled to resume in Mantoloking south of Lyman and then head north to the Bay Head border, with fences and the supply pipe in place from about August 14 and the project taking about 80 days. The Army Corps of Engineers’ project affects approximately 14 miles of coastline along the Barnegat Peninsula — Point Pleasant Beach, Bay Head, Mantoloking, Brick Township, Toms River Township, Lavallette, Seaside Heights, Seaside Park and Berkeley Township. Dredging in approved borrow areas will grab 11 million cubic yards of sand, pumped via pipes onto the beaches. Those dredge materials will be built into dunes and a berm system.